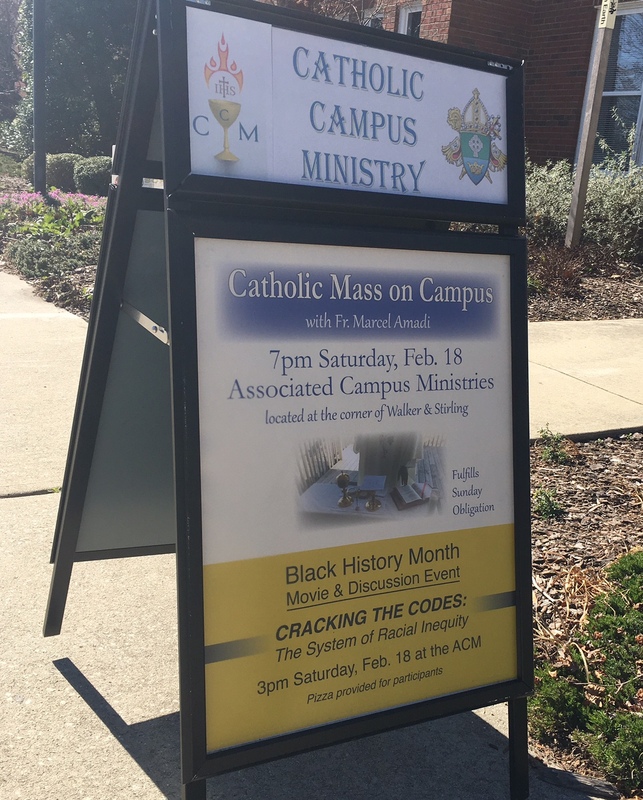 Mark your calendar…Mass on Campus (ACM ROOM 214) Saturday, February 18th at 7PM. ALL ARE WELCOME! Father Marcel is presiding…this Mass fulfills your Sunday obligation. We hope that you can join us BUT if you can’t please don’t forget transportation to the 11am Sunday Liturgy at OLG is available at the “circle” at 10:40AM.